Discussion in 'Accepted and on Probation' started by Elystus, Jul 29, 2009. 1. Talent Spec (List any dual specs or explain situational talent picks): I am dual specced Shadow at the moment. In the past I have been heavily involved in ten man hard mode progression so I am currently specced for General Vezax hardmode. I also use a Shadow build for Algalon attempts and have been Discipline for certain encounters in the past, though I don't enjoy it as much as shadow. 2. Professions and how they help your raid performance: Both professions on my priest are to enhance raid performance, but I do have alts with maxed Alchemy and Inscription to provide for my other raiding needs. 3. Time played in WoW and PvE achievements: My priest has 150 days played and have cleared all current content except Yogg 25, and Algalon. 4. PvP influences and impact on raiding: I'm not a big pvp'er, occasional bg's is about the extent of it. 7. Occupation outside of WoW and any scheduling issues it creates: Full-time student, might pick up an occasional odd job but nothing too serious. 8. Your old/current guild and why you are leaving them (Include old guild's name or we could think you've joined them and dismiss your app): I left my current guild, W A R, yesterday. I was an officer there for approximately ten months and enjoyed it greatly. However current changes in the guild, including new raid times and just general management has made it an unsuitable home for me. Like Rogue mentioned on his app, and it applies to me as well, leaving W A R is not a decision I make lightly but I play to have fun and kill bosses, this is no longer possible with W A R.
11. What conflicts do you have with our raid schedule listed above? The only conflict I have is in the coming week. I am going to the beach on Saturday until next Wednesday, but after that I should be good in terms of availability. 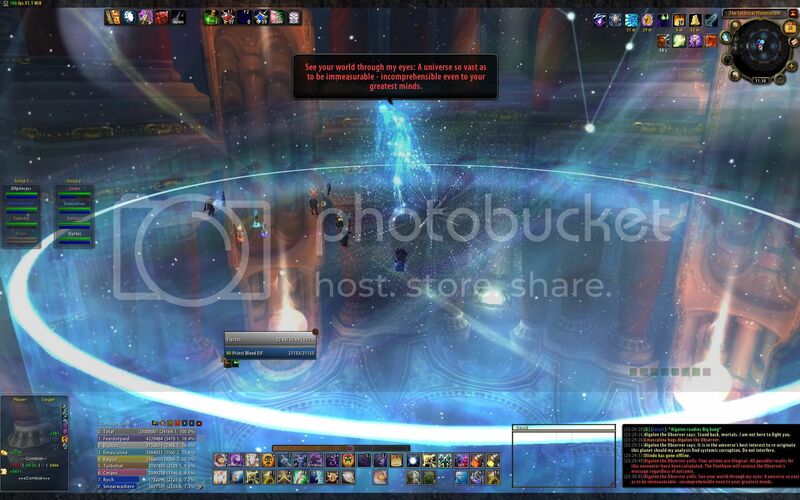 I don't use Blizz raid frames normally, was having UI issues this particular night. I normally use Grid. I love being a shadow priest, and I believe I can be an asset to your raids. Thanks for the consideration. this app is approved by Roch and the Roch For Officer 09 campaign!